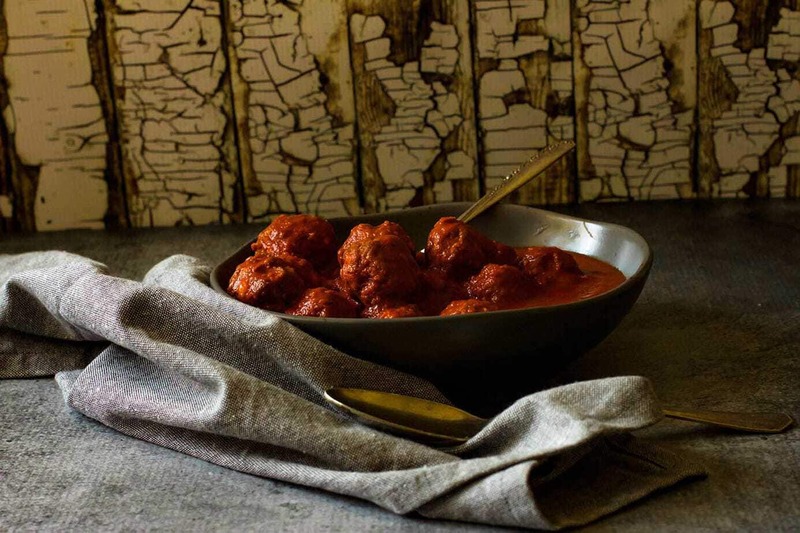 Lamb & Haloumi Keto Meatballs in Sugo di Pomodoro…..Italian…Ahhhh..Mazing! This is a family friendly keto recipe that the whole family will love. I am not even a huge lamb lover but I have to say the lamb works so well in this particular keto meatball recipe. I had low expectations when I was testing these lamb meatballs as I wanted to keep it on a low budget, and cut out several ingredients I would have liked to have added, but even with very little ingredients big flavours can be developed. When I went to test the sauce it was rich and freekin delicious! 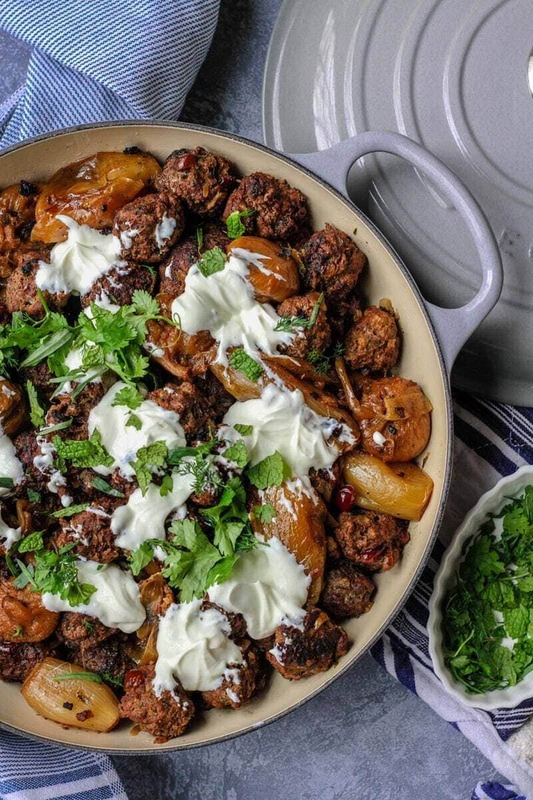 The keto meatballs are succulent, tasty and really lovely with their little cubes of haloumi. I hope you love it just as much as I do. It is a great meal to be able to make ahead and freeze for midweek dinners when you can’t be bothered cooking. How to Cook Lamb Keto Meatballs. Included in this ketogenic meatball recipe is a couple of cooking methods and variations. While I do not always specifically fry and brown off the meatballs if you prefer to brown them on all sides and reserve to go in the sauce later then please follow the “optional” instruction. The lamb meatballs will however cook perfectly well in either a saucepan or the Thermomix® in the sauce. It is such a gentle way to cook them that I find they are very moist and flavoursome. The meatballs do stay together in the Thermomix® by simply having it in reverse after adding them to the sauce. I choose to make very small balls so they cook faster. If you want larger balls increase the cooking time to ensure they are cooked through. Connect with us to tell us about your Keto Meatballs? Lightly fry meatballs over medium heat until browned on all sides. Reserve and add to sauce for gentle cook before serving. Heat oil over medium heat and add onion and sauté for 2-3 minutes until onion starts to soften and turn translucent. Add minced garlic and fry until fragrant. Turn down heat if garlic starts to brown. Add remainder of ingredients and simmer until sauce reduces slightly and thickens. Add meatballs to cook through. Such an easy recipe to make that packs a big punch in flavours. The meatballs can be made ahead during the week. They can also be frozen cooked or raw. These are amazing! The whole family loved this one so much I’ll have to double the recipe next time! Just delicious and the sauce is a keeper!